Last week in Berlin MEF hosted the first meet-up in a new Consumer Trust series designed to bring together members and guests to discuss the burning issues companies must grapple with when it comes to privacy and security in the mobile ecosystem. 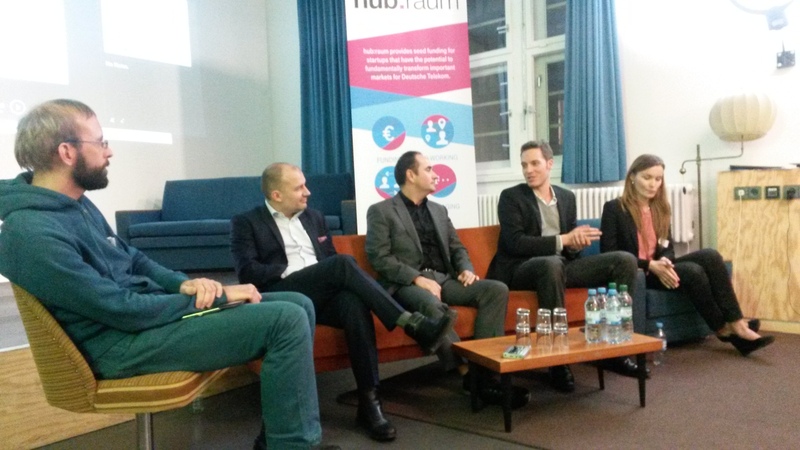 The evening was kindly hosted by Deutsche Telekom at their innovation space hub:raum and speakers included Samu Konttinen of F-Secure, Graham Thomas and Andreas Sommerwerk from Deutsche Telekom, Elena Turtureanu from Smaato and Michael Franzkowiak of Contiamo. Graham Thomas kicked off the evening sharing some of the results of MEF’s recent Global Consumer Trust report, and outlined the impact of trust concerns on the mobile ecosystem, stating that over a third of consumers shun apps due to privacy doubts. Samu then gave a big picture (and rather scary) view of threats on the world of personal data proclaiming: the Internet is on Fire. Watch the video below to find out more. Much of the discussion centered on the new General Data Protection Regulation designed to give consumers more choice. The consensus was that the new regulation which will come into effect by in spring 2018 both opens and closes doors when it comes to how companies managing their customer data and that it was essential start understanding the implications of the new regulation now. Elena Turtureanu from Smaato summed it up nicely: ‘Data is today’s oil’. GDPR is an area covered in more depth by MEF’s Global Consumer Trust Initiative which this week published business guides to Data Regulation in the UK and Germany. MEF Members can check out more discussions around these issues in our members area, featuring content from the European Consumer Trust Summit – a full day of keynote presentations, panel debates and business case studies – login now to view the materials.